Bamboo Pillows: The Latest Fad or Effective TMJ Relief? Bamboo Pillows: The Latest Fad or Effective TMD Relief? At MedCenter TMJ, we are always on the lookout for new products that can benefit our patients. This week we would like to talk about a great product that Dr. Ronald Auvenshine himself purchased: a bamboo pillow. When you hear the word “bamboo” images of a woody plant on tropical islands may come to mind. Indeed, that is what the bamboo plant looks like, but it may surprise you to learn that bamboo has many commercial applications. Just few include its use in the timber, culinary, paper and textile industries. For textiles or fabrics, short bamboo fibers are broken down and rapidly spun, which produces soft, natural cloth. The bamboo pillow is generating a lot of interest because of its many unique properties. What makes this pillow different from others? The answer is its casing (or cover) and its shredded memory foam. Bamboo covers are soft material. 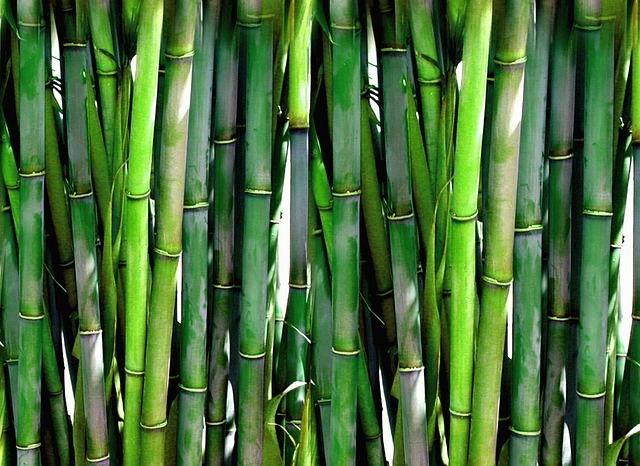 Because bamboo is naturally harvested, it contains no pesticides or other chemicals. Cotton, on the other hand, is a farm-cultivated crop typically grown with the use of pesticides and other toxic agents. Green consumers will love the many ecological benefits of bamboo. An incredibly renewable plant, it grows fast and has some of the highest per acre yields. It is drought resistant and requires no irrigation. In other words, it leaves behind virtually no ecological footprints. Being environmentally friendly is important, but for a product to be effective, it also has to work for you. And that’s what makes bamboo covers even more interesting. Its fibers can wick moisture away from the skin. It naturally dries faster than other fabrics, and it resists odor retention. Most memory foam pillows consist of solid chunks of material. The high density unfortunately has negative side effects, namely the retention of heat. Users often complain that memory foam pillows are hot and uncomfortable to use. Bamboo pillows are filled with shredded memory foam. As a result, the pillows are highly breathable and naturally regulate thermo-temperatures. A good night’s sleep matters, especially if one is a sufferer of TMJ pain. Sleep is directly related to reduced stress and a better quality of life. If your pillow is exacerbating your TMJ discomfort, you’re not moving in the right direction. So what can a bamboo pillow do? Many manufacturers believe it does the following by allowing you to get a good night’s sleep: strengthen your immune system, improve memory, curb inflammation, improve decision making, decrease anxiety, increase energy, lower stress, sharpen attention and ease depression.